Cleaning my makeup brushes is something I absolutely dread and cannot stand the thought of. Truth be told I know I definitely don't wash my brushes as much as I should but the task is so tedious its one of those things that I'm like 'oh I'll do it tomorrow'. 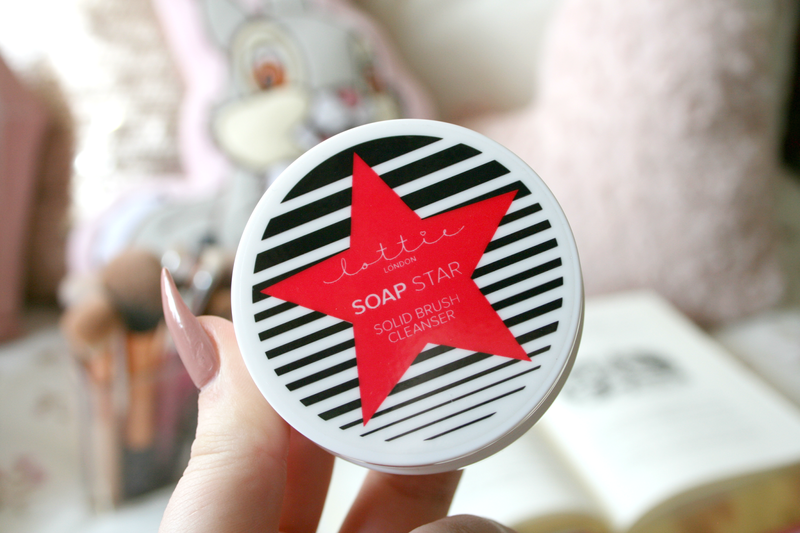 So while making a little Superdrug order I decided to throw the Lottie London Solid Brush Cleanser into my basket to give it a try. When it arrived I was so excited to try it out straight away. What actually made me buy this was I was so sick of nothing cleaning my real technique blenders and making them actually look clean, so I thought this might be the way to go. So while I wanted to clean both sponge and brushes I tried out a foundation brush first and within a few seconds the brush had been cleaned and looked as if I had just bought it. So far so good right!? I was so excited so ran and grabbed both of my sponges and started cleaning. All you do to use this is wet the brush/sponge your going to clean and simply swirl it around the soap in the pot. Then simple rinse the product from the brush/sponge and you're done. I have learned that when you're cleaning sponges when you wet them, don't squeeze the excess water from them because when you do they aren't damp enough for the soap to get rid of the stains. I have literally never washed my tools so much in my life since buying this stuff, it's literally a god sent! I decided to take a quick snap of my real techniques sponge before and after to just show you the stains it can remove! I had never previously tried anything from this brand before this product but I'm definitely going to have a look at what else they have to offer, as I am so in love with this brush soap. This set me back £6.99 on the Superdrug website which isn't half bad considering the results you get from it is amazing. If you're in the market for a new brush cleaner, or maybe you're looking for something that won't make it so tedious give this a go. You definitely won't regret it! 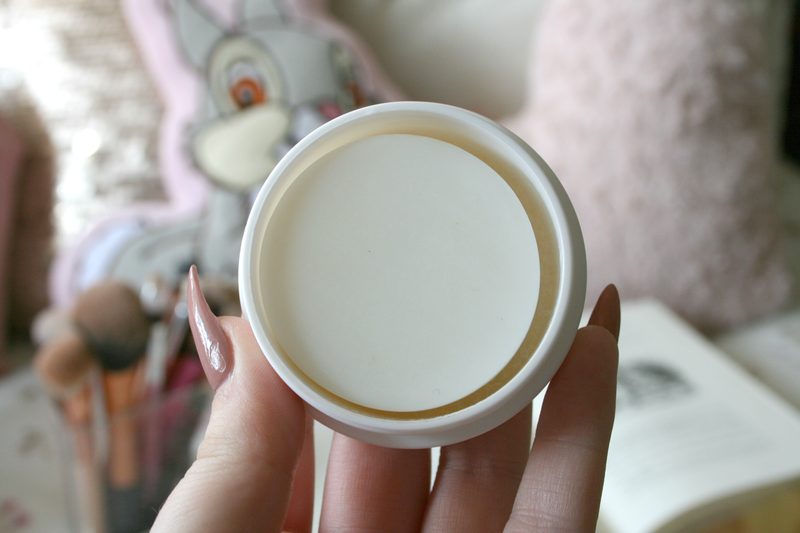 Have you found a holy grail product for washing your brushes with? Sounds like such a handy product! 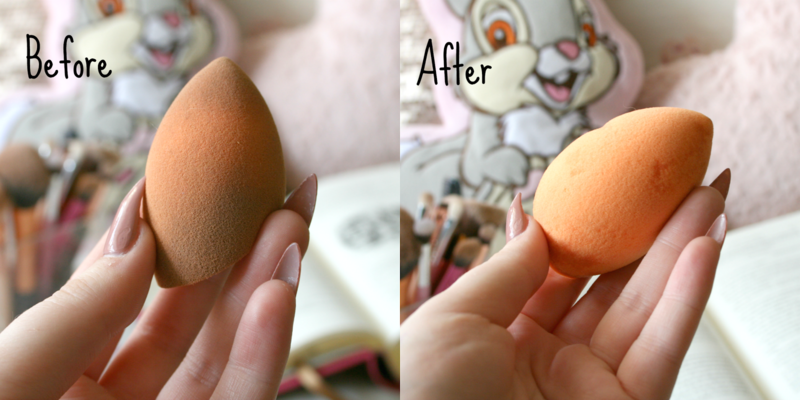 I really want to try this - I know beauty blender have one of these but this is so much cheaper and looks pretty good! I saw this on the website and wanted to try it but didn't, i'm definitely going to now!